Double-hung windows are a staple of classic American architecture. Their simple operation provides homeowners with control over both natural lighting and ventilation. Modern double-hung windows have come a long way from the simpler designs of their predecessors. Today, you can expect these types of windows to have high energy efficiency ratings and double (or triple) the estimated service life of older models. 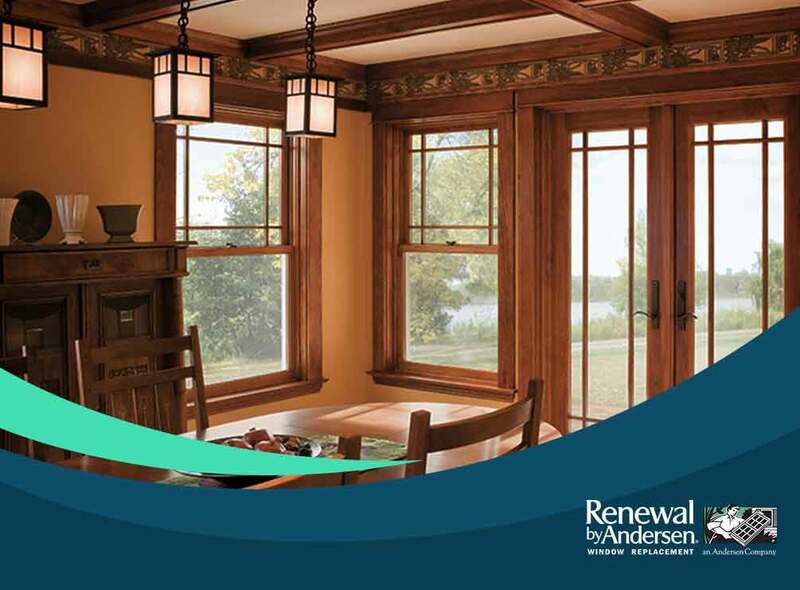 Let our specialists at Renewal By Andersen® of Houston show you the modern innovations that set our replacement double-hung windows apart from the rest. There’s something to be said of wooden window frames. Their natural wood grains have long held a spot among the best design finishes. However, for all its beauty, wood’s strength and durability leave much to be desired. Wood falls victim to rot and water damage. Vinyl rose to the occasion and answered most of wood’s known vulnerabilities, although it didn’t retain the same beauty as wood. To resolve the issues between wood and vinyl, Andersen® invented, developed and used Fibrex®, our exclusive wood-composite material, on all our window replacement products. Fibrex is a special blend of wood fibers and polymer resins, giving it the strengths of both materials but none of their limitations. All our windows come standard with our High-Performance™ Low-E4® glass. Our glazing options have been proven to be up to 45% more energy-efficient than other dual-pane glass. Combined with our warp and bend-resistant Fibrex frames, you get more glass area than other ordinary window products, providing your home with all the benefits that only our double-hung windows can give. Get only the best replacement and specialty windows and patio doors at Renewal By Andersen of Houston, your leading provider of top-quality products and installation. Give us a call at (281) 547-6177, or fill out our online contact form to schedule a free in-home consultation and request a no-obligation quote today. We serve homeowners in Houston, TX.